No one wants to say they have it, no one wants to say they don’t have it, and if we’re honest, we all need a lot more of it. At 25 years old, I admit my life experience is pretty limited; even so, I find it difficult to imagine a better place to learn about humility than at Amigos de Jesús. Taking an afternoon birthday walk with the boys. 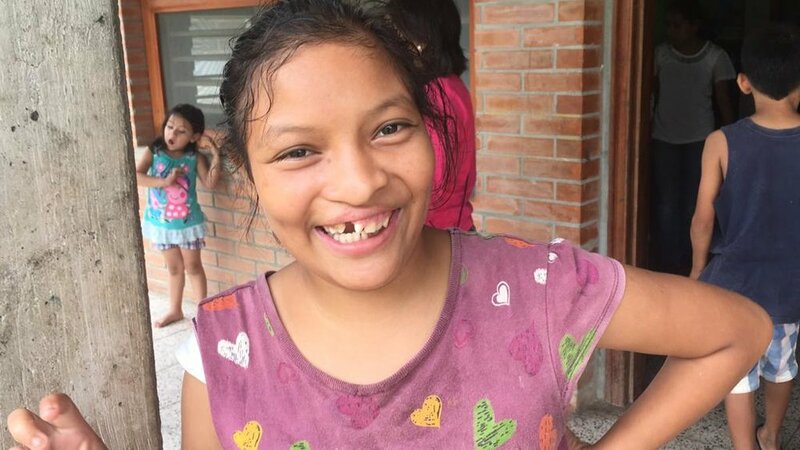 As volunteers and members of the Amigos de Jesús family, we say things like, “that was a really humbling moment for me,” or “I just got slapped in the face by humility,” on a pretty regular basis. One of the beautiful and often incredibly challenging things about living at Amigos de Jesús is that humility seeks you out. More often than not, we learn humility through unexpected circumstances and encounters rather than as a result of our own will. We learn it when we step back to watch in awe at the work that the ‘padrinos’ and ‘madrinas’ do each day to care for our children. 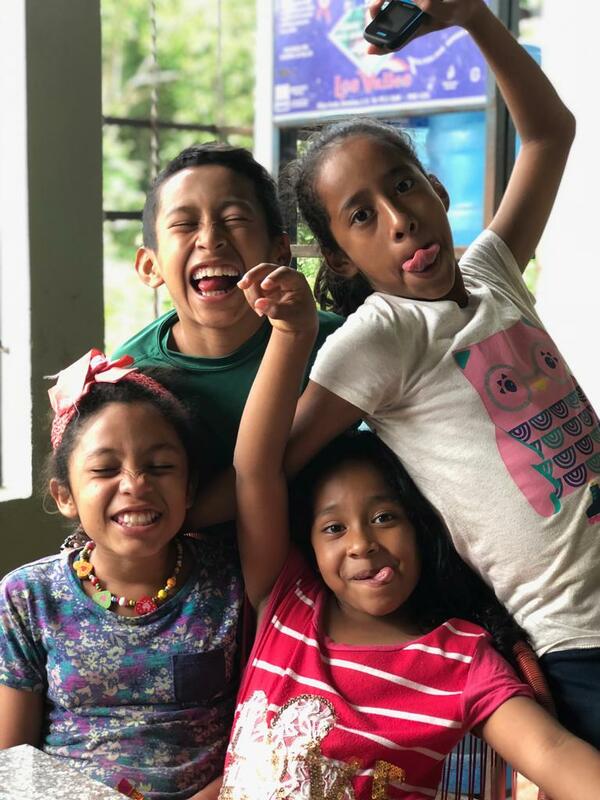 When we see the children wake up everyday and allow themselves to laugh and play, to be held and loved, and in ourselves when we come face to face with our own limitations and brokenness, things we cannot hide from at Amigos de Jesús. We aren’t lacking in examples of humility here at Amigos de Jesús and those listed above are a short few. One of the greatest ways Amigos de Jesús humbles us is in the simple fact that there’s always someone around who has been here longer, who knows the kids better, who understands the organization more, who sees the bigger picture more completely. But beyond all of us, there is one person that will always know and see more – God, the Master Creator, who has been at Amigos before all of us, who will continue on after all of us leave, and whose plans and love are greater than anything we could ever fathom. In my experience, the greatest lesson in humility that Amigos de Jesús has to teach us is that of properly ordering and understanding our relationship with God. We as humans have the unfortunate tendency to remove God from our work and lives, thereby making gods of ourselves and of our self-sufficiency. We think we are independent and can do so much on our own. The truth is that we really can’t; we need others and we really need God. I remember so many times in my first year as a volunteer getting frustrated with myself for my inability to communicate as effectively as I wanted to, for totally misreading a social interaction with a Honduran, for feeling unqualified and unprepared in the jobs I was doing, for not knowing how to connect with a child in the way s/he most needed, etc. All dressed up to celebrate the boys who turned 18 this year. 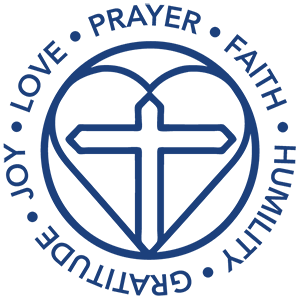 Nothing on my resume did, or could have, fully prepared me for life at Amigos de Jesús and that remains as true today as it did when I first stepped foot into the gates. Yet my most joyful and fulfilling seasons at Amigos de Jesús have been those times when I haven’t tried to do everything on my own, when I haven’t attempted to make myself more than I am or ever will be, when I’ve reached out to others for help and advice, and when I’ve trusted that God is holding me in the space I need to be and working with me right there. You see, humility isn’t weak. It’s powerful. When we allow ourselves to sit humbly before God, not despairing in our weakness, our struggles, or our embarrassing moments, but rather offering those things up to Him, He works through them and allows us to shine brighter than we ever could on our own. I don’t think God has called any of us to Amigos de Jesús because we’re the most qualified for the work we do or even because we’re going to change someone’s life in a monumental way, despite how wonderful both those ideas are. The truth is, we can never fully be what or who the kids most need. It’s a bitter pill to swallow when you get to know them, when your heart overflows with love for them, and when you feel there’s nothing you wouldn’t do to try and fill that hole that will forever exist in their lives. And that is such a helpless feeling. But thankfully, neither Amigos de Jesús as an organization nor God himself is asking us to do that. In our smallness, in our struggles, in our attempts to love the kids as best we can, in our awkward moments, in our desire to do God’s will, He shines through. He can do so much more than we can, if we allow Him to. When we learn to sit humbly before God, we see that, despite our shortcomings, He has always been waiting to work through us in greater ways than we could have imagined.